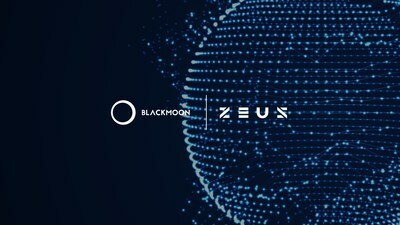 VALLETTA, Malta and SINGAPORE, April 4, 2019 /PRNewswire/ -- Blackmoon Financial Group, a blockchain Financial Service and Fintech firm, and Crypto Zeus PTE. LTD. (Zeus Exchange), a Fintech firm whose vision is to merge traditional investments with the power of the blockchain, today announced that they have formed a strategic partnership over co-branded Exchange Traded Indexes (ETxs). Zeus Exchange's (https://zeus.exchange/) vision is to merge the traditional investments with the power of the blockchain, to allow their clientele to trade between conventional financial instruments and digital assets, using a single platform, and in a legal and fully transparent fashion.